It was about the time Ron DeGregorio was appointed vice president of USA Hockey in the mid-1990s when he began taking inventory. "If the U.S. wanted to be considered one of the best countries in hockey, we not only needed to compete with other nations, but win," DeGregorio, now president of the organization, told NHL.com. "And other than the two miracle wins in 1960 and '80, we hadn't really won any gold medals and that was unacceptable." As it turns out, this "unacceptable" situation would eventually lead to preliminary discussions of a developmental program that would ultimately lend a hand in turning ambitious American teenagers into major contributors on and off the ice. "We needed a plan and needed to put some money behind this plan, because we knew Americans could play hockey," DeGregorio said. "But if you don't win medals, the infrastructure doesn't think you can. To be recognized, you have to be successful and a sign of tremendous success (internationally) are gold medals." Behind the determined efforts of DeGregorio, USA Hockey Director of Operations Scott Monaghan, then-National Team coach Jeff Jackson and then-assistant coach and director of player personnel Bob Mancini, the National Team Development Program came to fruition in 1996. "The USNTDP was an offshoot of discussions that we had when Jeff Jackson was first hired," DeGregorio said. "Jeff felt a model such as the NTDP was an important part of the goals of improving the overall development of our high performance players. We were able to secure the funding through various internal methods before finally launching the program." Celebrating its 15th season in 2011-12, the goal of the NTDP has always been to prepare student-athletes under the age of 18 for participation on U.S. National Teams and success in their future hockey careers. The program is composed of two squads -- the U.S. Under-18 and Under-17 Teams. 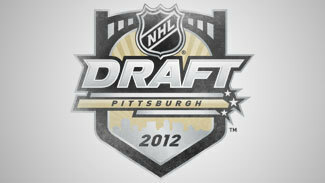 The fact the program has produced 198 NHL draft choices since 1996, including three No. 1 picks in Rick DiPietro (Islanders, 2000), Erik Johnson (St. Louis, 2006) and Patrick Kane (Chicago, 2007), is a sign those objectives DeGregorio envisioned from the very start are becoming a reality. "The best is yet to come, for sure," DeGregorio said. "We wanted to make sure that the player was taken care of, both academically and athletically, and that's why an important part of the structure of the NTDP was what school, what tutors, would be available. We wanted this to be like West Point, if you will, for USA Hockey's development players." DeGregorio feels the popularity and success of the NTDP over the past decade is one reason the U.S. has done so well internationally. "The NTDP has done a really good job," New Jersey Devils captain Zach Parise told NHL.com. "American kids are getting drafted high and, more and more, the U.S. teams are always one of the favorites in the international tournaments. We're always right there in the mix … I don't think you could have said that 10 or 15 years ago." Parise, born in Minnesota, has celebrated two gold medals as a member of Team USA at the 2002 Under-18 World Championship and 2004 World Junior Championship, as well as earning silver at the 2010 Olympics in Vancouver. The Americans have earned an unprecedented eight consecutive medals at the World Men's Under-18 Championship, including five gold medals (2005, '06, '09, '10, '11), two silver ('04, '07) and one bronze ('08). It also won gold in 2002. The nine overall medals are the most ever at the Under-18 Championships -- Russia owns eight. Prior to the NTDP, the U.S. won only two bronze medals at the World Junior Championship. But in the last nine years (2003-11), it has won two golds, two bronzes, and made it as far as the bronze-medal game four other times. During the U.S. National Team's gold medal run at the 2010 WJC, 13 of the 22 players were part of the NTDP. At the 2011 WJC, 15 players had at one time participated with the NTDP. "A lot of the players on these international teams have played together before," DeGregorio said. "In 2004, when we won World Junior Championship, it was where the horse knew the jockey and the jockey knew the horses. It was as much the support players that come out of the NTDP that helped secure our positioning as it was the top-six forwards or top-four defenders." The U.S. also garnered the World Under-17 Hockey Challenge gold medal in 2010 and the silver in 2011, and is the three-time champion at the World Junior A Challenge, which began Nov. 7 in Langley, B.C. While the NTDP has devised its own philosophy in grooming hockey players, there are also bits and pieces of Canadian and European influence. "I think at one time there was a clear distinction between Canadian hockey, American hockey and hockey in Europe," DeGregorio said. "I think we've all borrowed from each other. I'm not saying we're all the same, but I think we're closer than we've been in the past and we've taken the best from each of our disciplines and incorporated it into our training. We've always had and want to continue making sure that U.S. players are overachievers, but we also want to give them more and more tools so that they can accomplish even more." Of the 60 American players taken in the 2011 NHL Draft last June, 17 had ties to the NTDP. There were eight players with ties to the NTDP chosen in the opening two rounds -- another caveat in the program's back pocket. "Having our players move on to the NHL was part of our mindset as well," DeGregorio said. "Our goal is not only to bring players to the NHL, but to have some of the best players in the NHL be graduates of our program. We're working with the younger players now and what we will be doing is moving forward to having some high performance programs, which will probably be ready for 2014. I think we're going to see more quality players leading up through the ranks, not only playing with the NTDP, but for other junior and college programs that will improve our depth even further." DeGregorio also made it a point to mention how positive the partnership with the United States Hockey League has been since the NTDP joined the League prior to the 2009-10 campaign. "Both the NTDP and USHL benefit," he said. "The USHL is our premier domestic league and our best players should be playing there. I think you're going to see more and more excellent players coming out of the USHL, as well as the NTDP."